Scarborough/Toronto, Ajax, Pickering, Whitby, Oshawa, Courtice, Bowmanville, Newcastle, Brooklin, Port Perry, Uxbridge, Clarington, and Blackstock. Welcome to Pillar To Post. As part of your community, we are pleased to provide our local customers real estate professionals, home buyers and home sellers with a home inspection service that brings to the buying or selling of a home unmatched quality, precision, integrity, and professionalism. We call what we do The Moment of Truth. It is the moment when the emotion of buying and selling a home meets the reality of the issues of that home. Our work is to communicate effectively, knowledgeably, efficiently, and openly about the condition of a home. We understand that our customers trust us to inform and educate them about what we see and what we find, and this is a trust we hold in the highest regard. 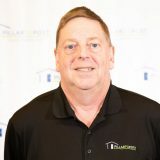 For real estate professionals, our work is a commitment to the understanding that their reputation is our responsibility and that a relationship with us reinforces the confidence their clients have in them. For the home buyer, our work is an objective explanation of the condition of the potential new home to which an emotional tie is already being formed. For the home seller our work is to honor the home they have lived in, and to report on its condition observed at the time of the inspection. WETT Inspections for fireplaces, woodstoves, wood inserts, etc. For all of our customers, Pillar To Post considers the home a place of the heart, as it houses the people that are loved and the memories of lifetimes. This is why we call Pillar To Post The Home of Home Inspection. This document outlines our contractual relationship and references the standards of practice that will be used to conduct the inspection. Upon confirmation of your inspection booking and for your convenience, a link to this document will be sent to you by email and you may review it at your leisure and approve it online before the inspection. The industry leading Pillar To Post home inspection report details all major items as described in the relevant standard of practice inside and outside the home. We are the best choice for your home inspection. Watch the video below to see the Pillar To Post difference.